News From The Hill: Still learning.... Two symposiums. here are a few random snow photos to go along with this post. I don't know if that means I'm scattered or well-rounded! titled "Emerging Issues in Child Welfare" held at W&L's Law School. that I was in the midst of completing. with a variety of viewpoints and it gave me much to consider. Crazy that such an opportunity was free and open to anyone who wanted to attend. A tremendous wealth of information to be gained just by showing up. was the horticultural symposium titled "A Celebration of Trees"
held at VMI's beautiful Marshall Hall. Michael Dirr, Sarah Ross Hugo and Vince Dooley. who has become a gardening convert late in life following his retirement. Look for beauty in even the tiniest part of a plant! The title of Dr. Dirr's talk was "In Praise of Noble Trees. I learned a lot about tree varieties ... he's a gifted educator. Unfortunately one thing I came to realize was that our property is pretty much barren of noble trees! But that doesn't mean things can't change! the day before he lead an educational tree walk over at W&L. however, I had lots of bouts of nostalgia as I thought often of my plants left behind in LA. What I wouldn't give for a camellia right now! to see some of my new plantings come to fruition. under whose shade you do not expect to sit." Perhaps that quote can apply literally to trees and also to volunteer projects like child welfare? It is amazing, Grace, that there are so many free opportunities around if folks just seek them out. 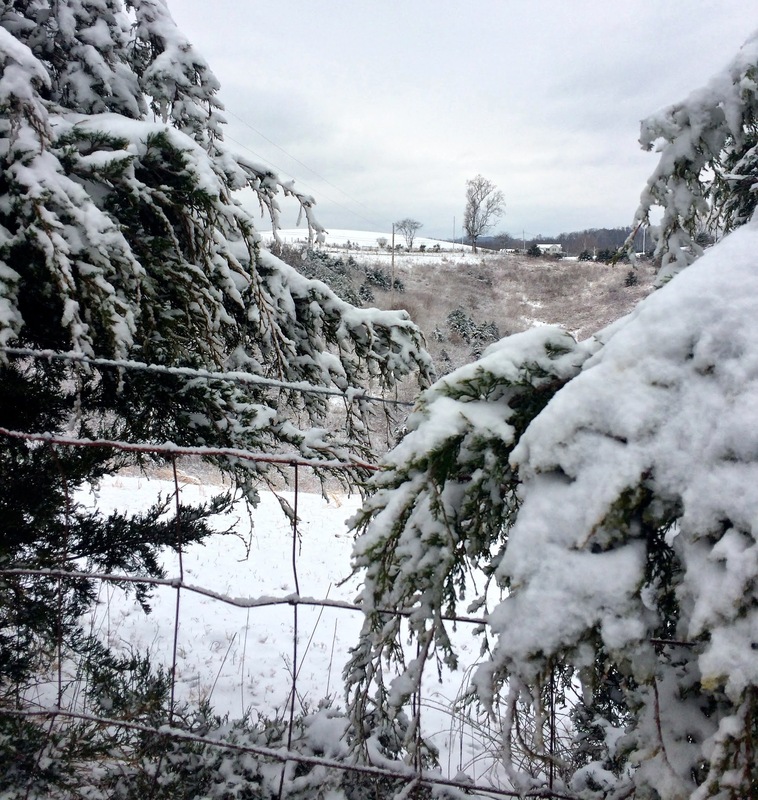 I enjoyed the snow scenes as you got much more than we did on the VA eastern shore this winter.